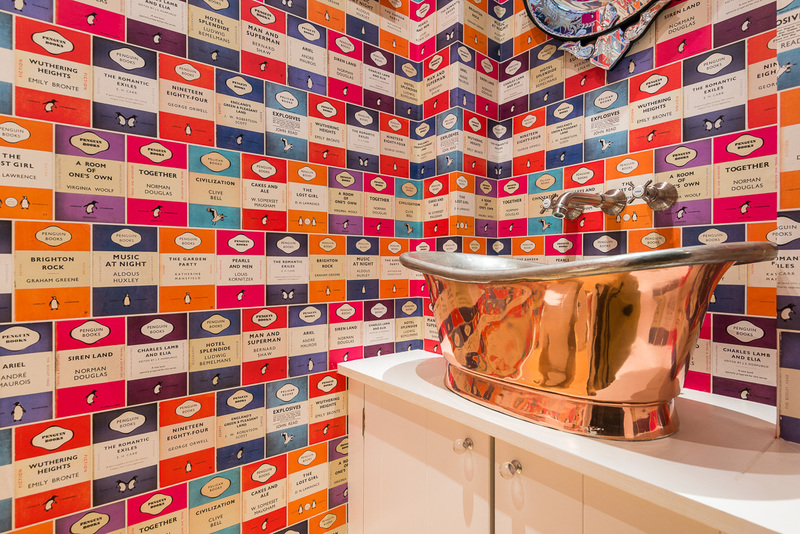 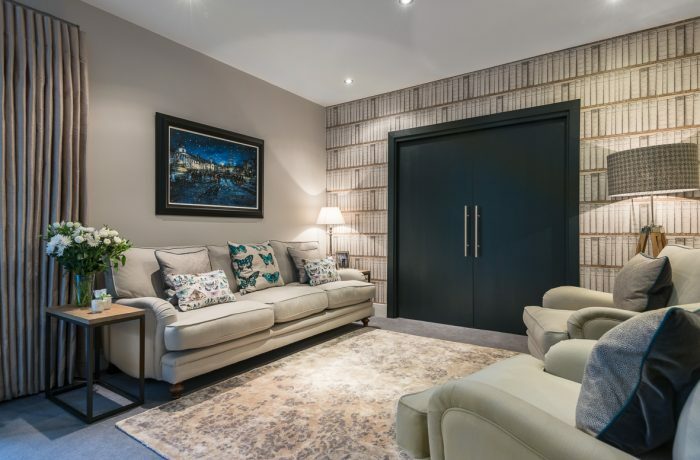 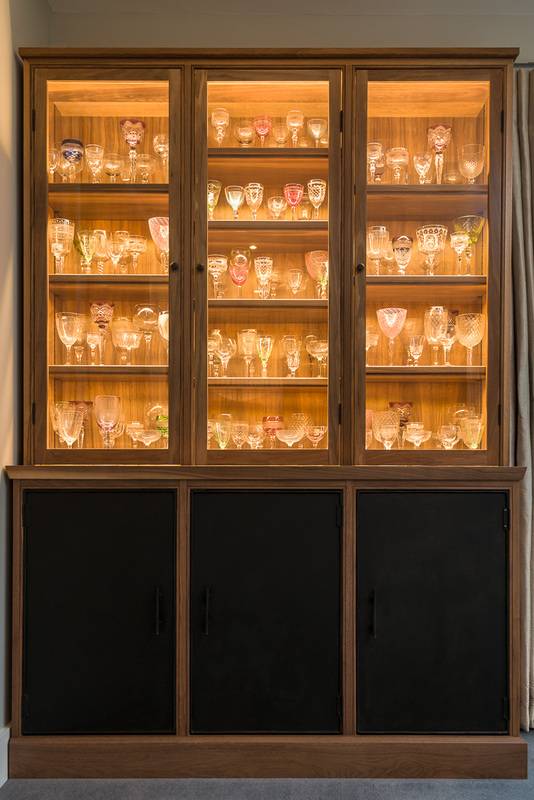 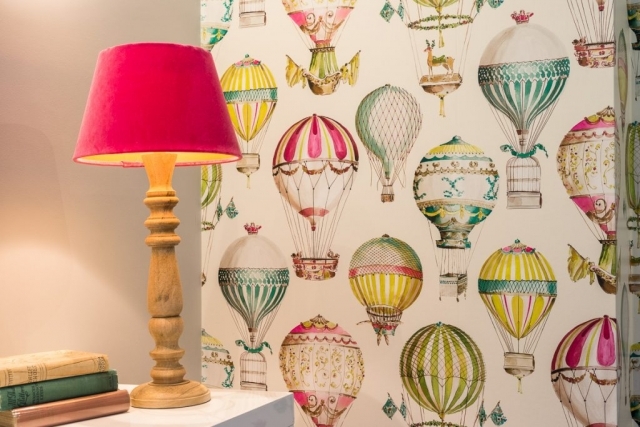 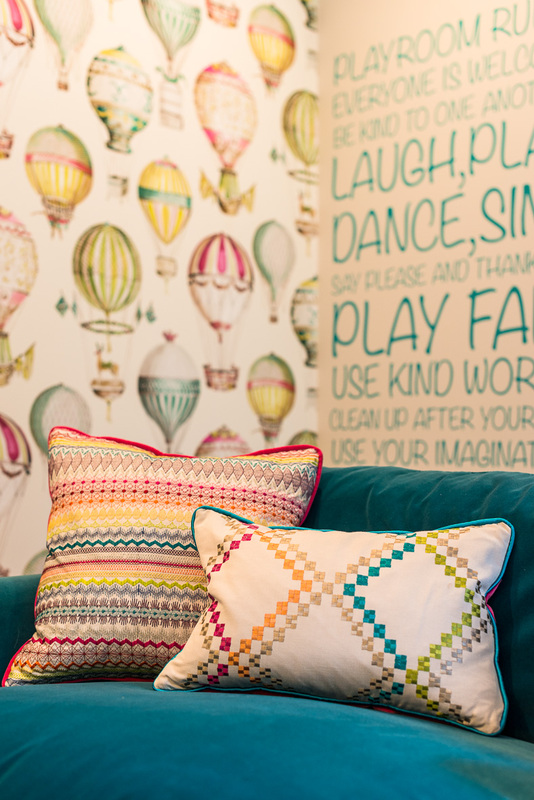 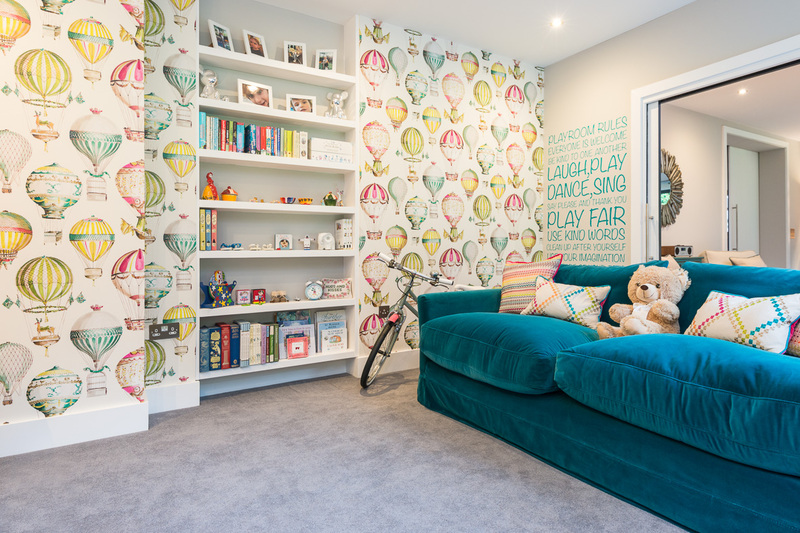 The brief from our client was to work with them on specific rooms in their home to inject a sense of fun, personality and functionality against a backdrop of classic contemporary style. The priority was attention to detail with all the finishes combined with bold or calming colours appropriate to the space. It was also important to maintain a consistent sense of flow throughout the house. 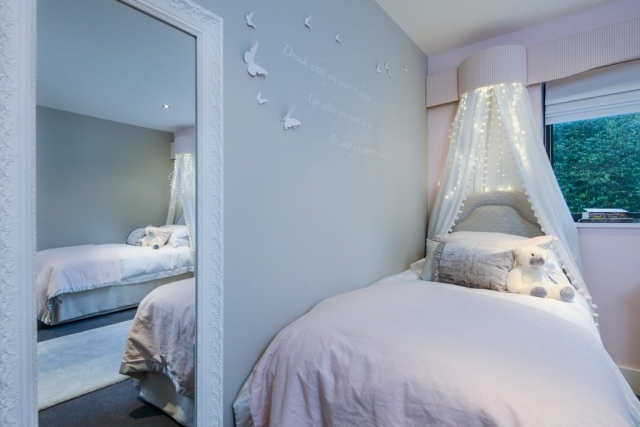 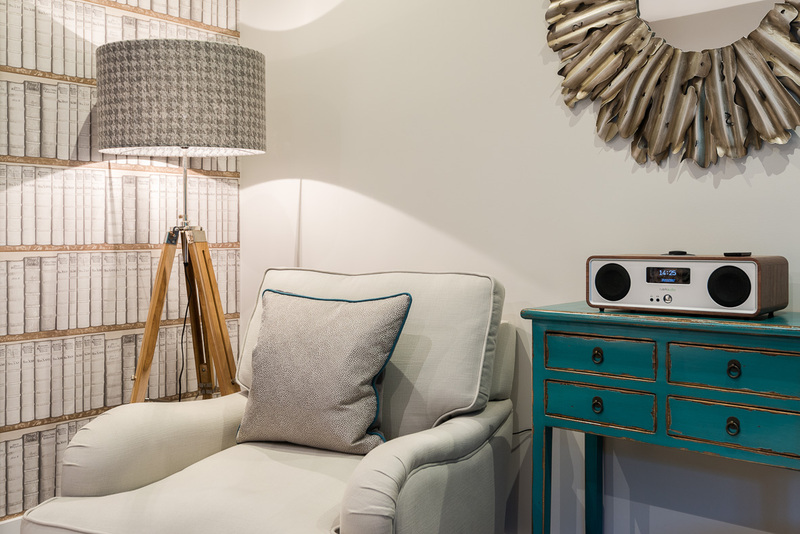 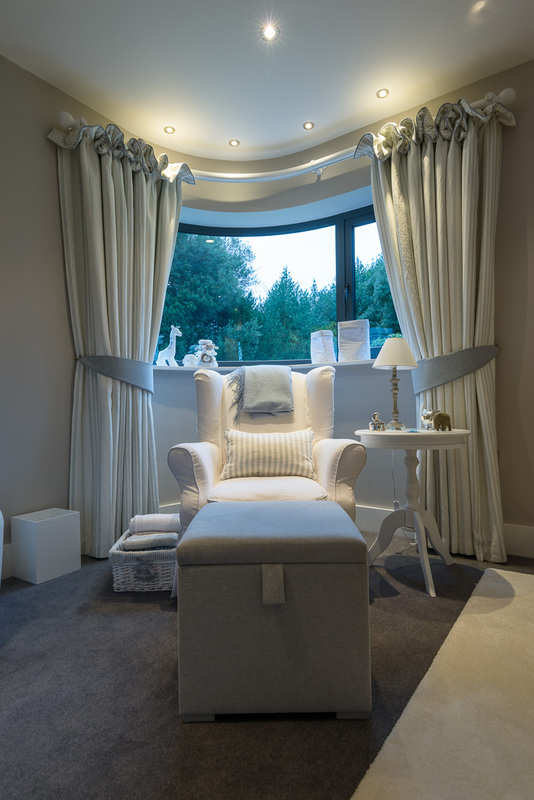 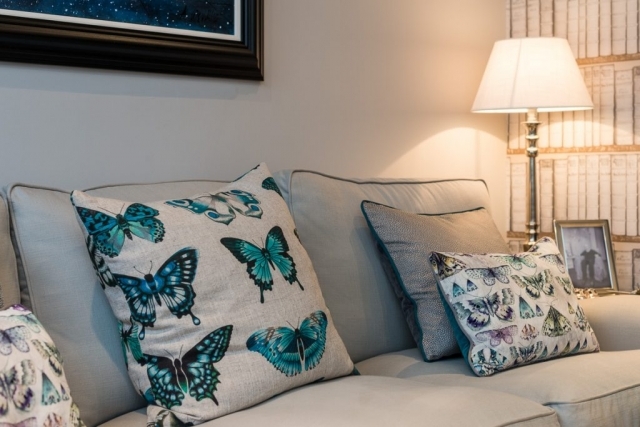 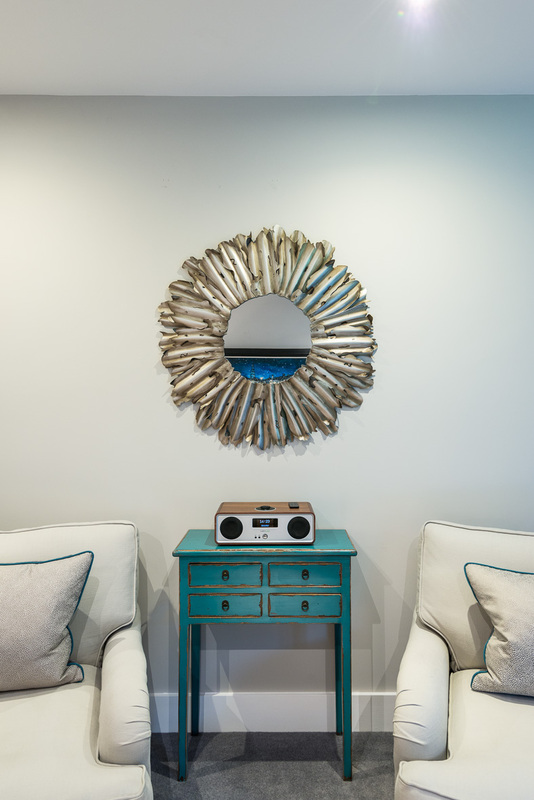 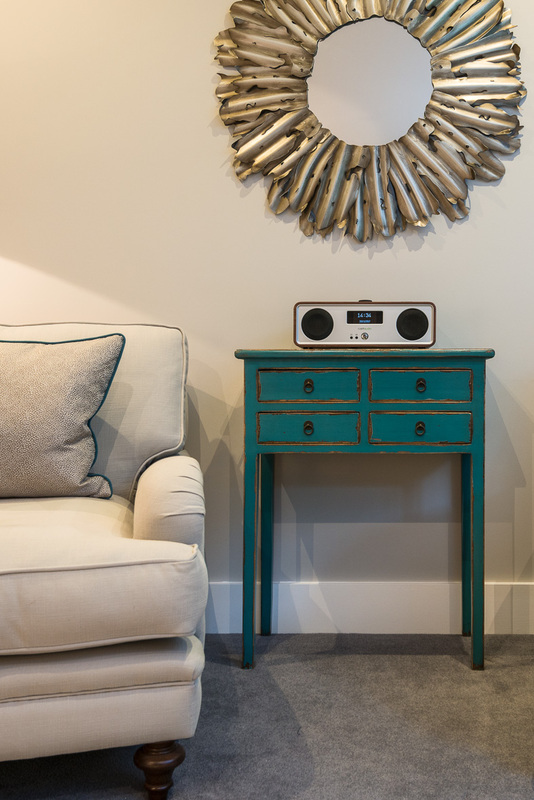 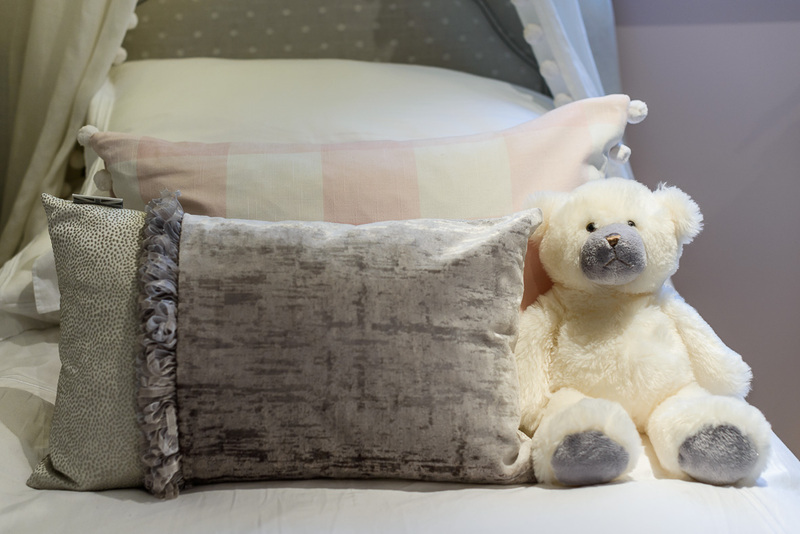 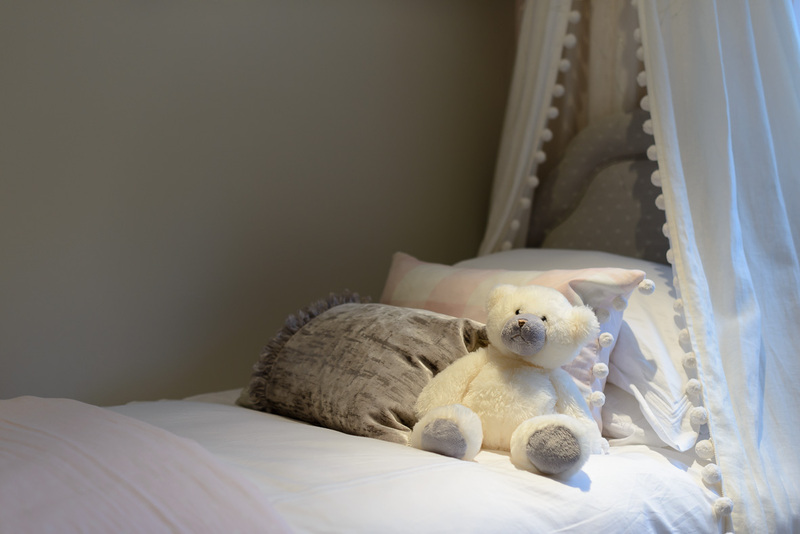 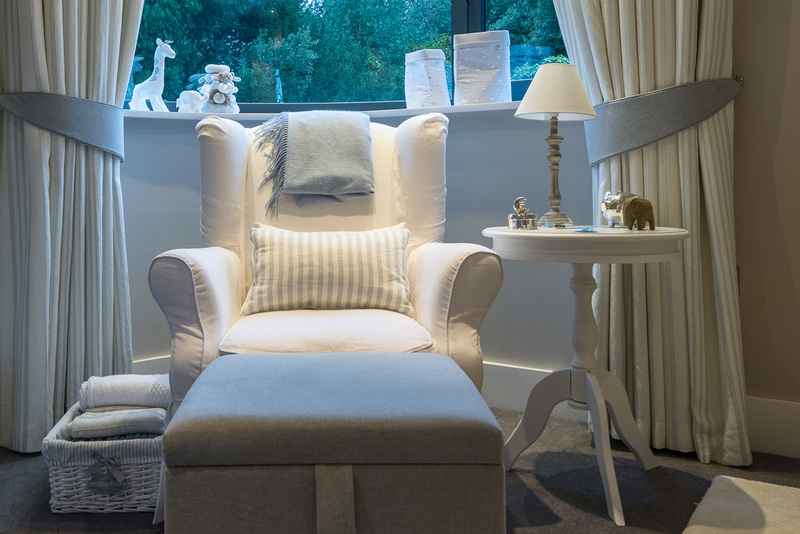 We chose Teal as the accent colour connecting the Study Sitting Room and Family Room, whilst pale blue, pale pink and grey became the theme for the bedrooms of their young family for fresh calm tranquility. 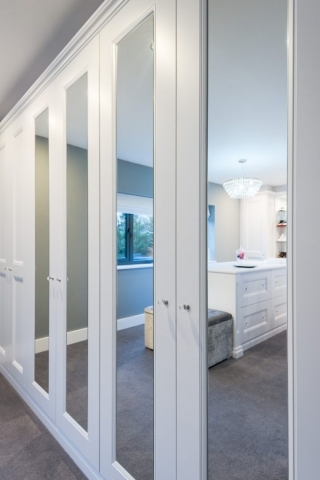 Pure White against charcoal grey was chosen for the bespoke dressing room for a bright fresh environment. 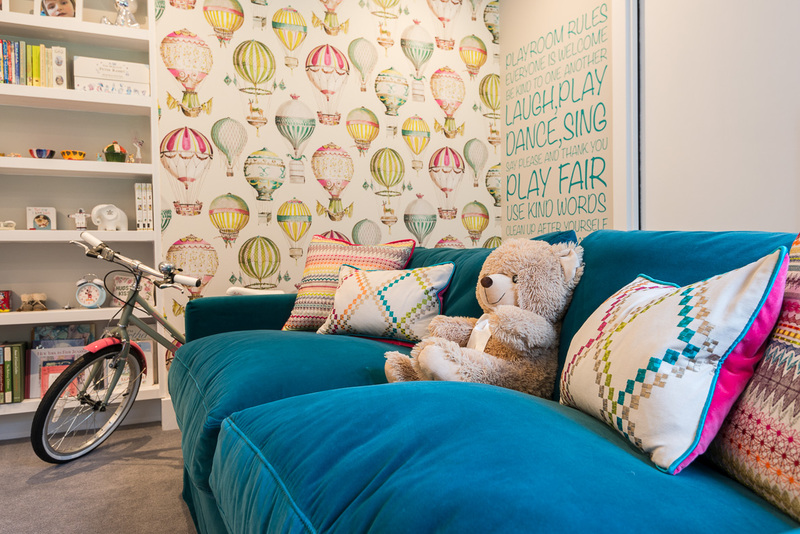 The overall result was a balanced mixture of personal spaces for all the family whilst achieving the desired functionality and style throughout their whole home.